Volunteers Week is a national, annual celebration of Volunteering – always held on 1st June – 7th June. At Stokesley Library, Stokesley Volunteer Centre invited local organisations to create displays, explaining to local people who they are, what they do and how people can get involved. The display was present for the whole week for people to take a look at. 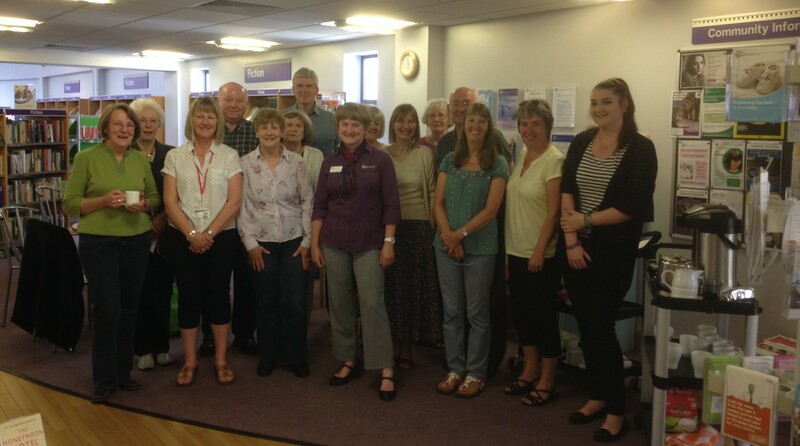 At the end of Volunteers’ Week, June 5th, a tea party was held for invited volunteers from the library and Stokesley Community Care Association. If you’re looking for a group of people that completely embrace imagination and uniqueness, then look no further than the Craft Club. This is a hugely creative session where anything goes, and you can produce amazing items to your heart’s content. Each week, the volunteers come in with plans for a new project for the clients to make that day, which keeps the sessions full of variety and excitement. Some of the projects have been things such as colourful corsages, silk painting scarves, cards for all occasions, and the very popular slate painting. There are even some guest artists that come in to the club to show all of the clients some of their work, and help them with creating similar items. Not only do the volunteers bring with them the idea of a new project for the session, but they also bring along an abundance of crafting materials. Spread out across the tables, you can find a whole host of supplies for the project ahead, whether it be roll upon roll of eye-catching fabrics, paints, scissors, patterned paper, or a variety of threads. If there is something you need to make your project look amazing, the volunteers are guaranteed to have brought it with them. All of the clients are left with items that they feel very pleased with, proudly showing them off to people around the table. 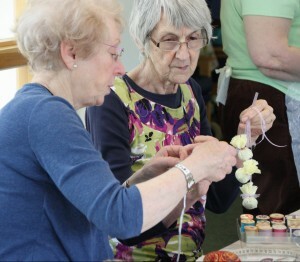 Some even offer to give their items in to be sold at future craft stalls, which are always very popular. One client said, “when we did the slate painting, I took mine home and put it up in the kitchen, and my husband couldn’t believe I’d made it!” So to make beautiful and professional projects, be sure to pop down to the Craft Club! Held at the Stokesley and District Community Care Association, first floor of Town Close, every other Thursday from 10-12, with the opportunity for drinks throughout. Costs £2 a session, which covers access to materials and refreshments. For more information, give Phil Henderson on 01642 710085. What better way to catch up with friends, meet new people, and enjoy a delicious meal than at the rustic Stokesley Town Hall? 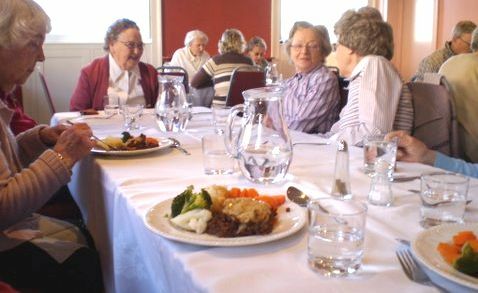 The Lunch Club, hosted by Stokesley and District Community Care Association, is held here every Thursday, and each week, the list is almost over-flowing with people wanting to attend. It’s not hard to see why the spaces are in such high demand, with the variety of food changing each week. The Lunch Club provides its visitors with a lovely meal, consisting of a main course, followed by a dessert, and finishing with a cup of tea or coffee. The food for the main course is delivered fresh on the day, and it’s different every week, with dishes ranging from things such as corned beef pie or quiche lorraine, to lasagne or casserole, so you’re never short of variety. The desserts are also different every week, and made by one of the volunteers helping on the day. A lot of the clients enjoy the pavlova, one of the volunteers’ specialities, but some of the other desserts that have been on offer include things like chocolate and pear sponge, sticky toffee pudding, and apple crumble. My mouth is watering just thinking about it! The club is held in the Jack Brunton room, which is a very large, spacious room, with the ability to hold up to 75 people. The fully equipped kitchen where the food is prepared is attached to the bottom of the room, so it’s perfect for speedy serving if any of the clients are feeling particularly peckish. The tables are arranged so that you can sit in a fairly large group, perhaps with friends that you arranged to meet at the club, or with new faces that you can introduce yourself to. Either way, you’re guaranteed a great chat whilst you devour your dinner. The Lunch Club is held each Thursday from 12 noon in Stokesley Town Hall. There is a mini bus provided by the Community Care Association that delivers clients to the chairaerobics class prior to the Lunch Club, so this is ideal for people looking to get a bit of exercise before they eat. There is a small fee for this service, so to get any more information, or to book your slot, give the CCA’s office a call on 01642 710085. Have you ever heard of a whole exercise routine that can be done completely sitting? 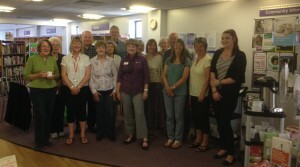 One of Stokesley and District Community Care Association’s newest activities is exactly that! This toe-tapping addition to the centre’s range of activities has proven popular among their clients, and it’s not difficult to see why. 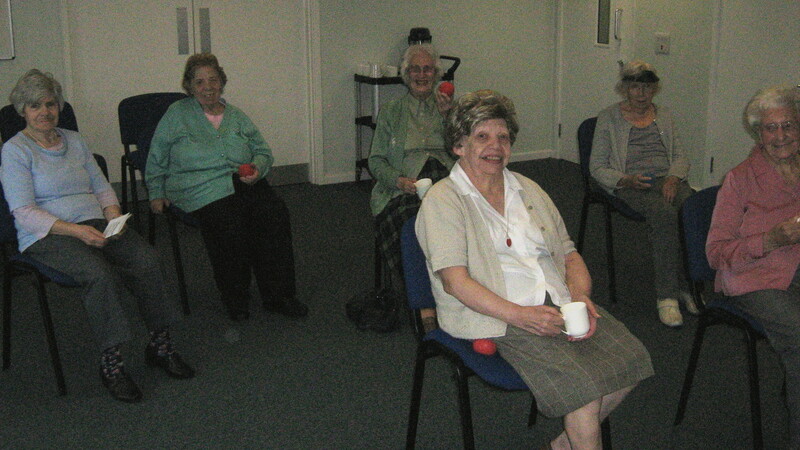 The hour-long session features fun and gentle exercises, like rhythmical marching, boxing, stretches, and focus on breathing, totally designed to help with mobility and circulation, all whilst being in the comfort of a chair. A lot of the moves even cater to people with manoeuvrability problems, such as arthritis and osteoporosis, so everybody is encouraged to have a go and feel the benefits. The members are taken through the session by a DVD, instructed by Simon Roll, beginning with a warm up, followed by several marches, an upper body workout and a lower body workout, before finishing with a cool down. With the moves being set to the music of Max Bygraves, along with other classic tunes such as ‘Pretty Woman’ and ‘(I’m Gonna Be) 500 Miles,’ participants of the class are guaranteed to be singing along in no time. As this workout is created entirely for seniors, the steps are very simple and the participants are reassured that if they struggle with anything, then they can stop and jump in again when they feel ready. There are also plenty of opportunities to take a break or grab some water, as well as the promise of tea or coffee at the end, which no one can turn down! This class is ideal for any seniors that are looking to put a bit more activeness into their lives, or any that are looking to meet new people. One member said, “it’s been nice, because we normally just sit in all afternoon and fall asleep,” so the chance to take part in an activity and move about has been greatly appreciated. Many of the members are left feeling energised, eager to practise the exercises in their own time and looking forward to the next session, so new faces will be warmly welcomed! The chair based exercise class is held on the first floor of the Stokesely and District Community Care Association on Town Close, from 1:30pm-2:30pm. For any further information, give Phil Henderson a call on 01642 710085.